It’s holiday shopping time! As of now (November 16th), Christmas is just 5 weeks away! 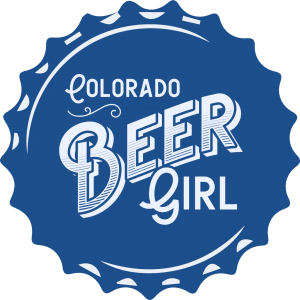 If you have a craft beer lover on your list, I have a handful of awesome ideas for you. This year I am featuring gifts for all budgets: from $10 and less, up to $99. Not finding exactly what you need? There are some other cool products to check out from my 2017 and 2016 guides as well. Thanks for stopping by, and enjoy your holiday shopping! This holiday season, send a Tavour gift card, or send a box of beer! What’s inside the Mixed Beer Gift Box Set? What’s inside? 8 beers, little bit of everything(100% Independently Brewed Craft Beer). Hand curated per order by Tavour, a sampling of the best we have on hand. Plus a custom message from you, the best gift giver ever. Note: I’ve been using Tavour for the past 2 years, and I LOVE it! Excellent selection, so easy to use. If you live in a state where it’s available, I highly recommend it. The Beer Pannier is designed to securely carry six 12-ounce cans or bottles, on your bicycle or hand carry. Made from used bicycle inner tubes, BicycleTrash’s Beer Pannier is the sustainability minded shopper’s choice for fashionably transporting your favorite home-brew or bottle shop purchase. The Beer Pannier is lined with charcoal grey felt made from recycled plastic bottles, and accented with black veg-tanned remnant leather. It has a handle for toting around, but can also snapped over handlebars, and fits over most rear bicycle racks (must be secured). Once you reach your destination, it can also rest over a chair arm. How it’s made: Handcrafted in DC, each Beer Pannier is made with 3 spent bicycle inner tubes, lined with eco-felt, sew with durable nylon thread, and secured with nickel hardware. Inner tubes are sourced from local bicycle repair shops, then cut, cleaned, and sewn by hand. Beer Panniers are embossed with the BicycleTrash logo on the handle. There’s a revolution going on in the beer world. The food you eat should be just as delicious as the beer you drink and award-winning beer journalist John Holl captures the best of the brewery and brewpub menus in his latest book, The American Craft Beer Cookbook. The 155 recipes cover breakfast to dessert, with vegetarian and gluten free options along with soups, seafood and more. The recipes were contributed by breweries, brewpubs and other beer lovers across the United States. You’ll love the new twists on traditional favorites, such as Slow-Cooked Dopple Bock BBQ Meatballs and American Wheat Beer Steamed Clams, as well as unexpected recipes like Crawfish Bordelaise, Roasted Pheasant,Chopped Reuben Salad, Beermosas, and Pineapple Brown Sugar Pale Ale Cupcakes. It is a celebration of craft beer, food, and the people behind it. Often referred as “the world’s best beer glass,” the unique design of the Teku glass allows you to experience craft beer using all of the senses. Beer enthusiasts wishing to stimulate their guests’ enthusiasm for the new craft beers should remember two rules for success. First: the eye wants to be pleased, too. Second: only a perfectly shaped glass will bring out the full array of aromas and flavors locked in craft beers. This is where the Teku goblet by Rastal comes into play, offering an excellent alternative for any beer style and environment. Manufactured by renowned German glassmakers Rastal, this Teku glass is the glass for all beers. 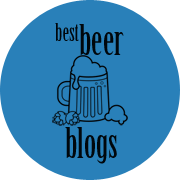 Its contemporary look has garnered praise from cicerones to homebrewers alike for its quality and ability to present a variety of craft beers perfectly. The idea behind the concept was to provide the glass with an unusual curvature and an upward-widening, yet straight-lined rim area that would complement each other, thus allowing each beer to fully unfold its unique wealth of aromas. The glass was created to enhance the drinking experience and it was carefully designed to capture the aromatics for the nose and palate. The glass measures 7.75″ H x 3.75″ W, and has a 14.2 oz capacity. For any home brewing operation worth its wort, the devil’s in the details. So track your recipes, fermentation facts, and results in style with this custom home brewing journal. Bound in warm vegan “leather,” this handsome journal includes engaging info-graphics, handy tables, and systematically structured log pages to guide your zymurgical pursuits. 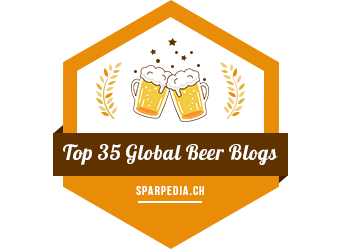 It’s a detailed, indispensable resource that’s adaptable for a range of brewing expertise. DrinkAde is a healthy hangover prevention drink with a unique formula that helps to neutralize toxins, restore vital nutrients, and re-hydrate the body so that celebrating and enjoying a drink the night before doesn’t prevent you from feeling great and getting things done the next day. The true “The Official Drink Before Your DRINK”. Compared to other similar products on the market that contain a whooping 40 calories per serving, DrinkAde only contains 5 calories and is both sugar free and gluten free. It’s made with natural ingredients such as aloe vera, green tea extract and B vitamins (full list of key ingredients here). There is often much skepticism about such products, but check out the online reviews for yourself, and give DrinkAde a try! Treat craft beers with the respect they deserve with this set of six tasting glasses. With six types of glassware in various shapes, this beer tasting kit offers the right glass for the right pour. Pilsner, porter/stout, wheat, nonic, stange, and tulip glasses round out the set, while stainless steel cork-backed coasters give your drink the pedestal it deserves. A complete beer tasting guide helps amateurs and aficionados alike profile their drafts while sipping like kings.